1) By visiting this page, you have also agreed to watch the film, subject to penalties assigned in Section III 6a. 3) A Theatrical Screening in your town and/or city may also be arranged to avoid legal action. We have streamlined this process for your benefit through Tugg. 4) If you represent a School, College, or Non-Profit, that association is now considered liable. For screening compliance, simply click here. 5) International Visitors are also beholden to our over-reaching policies. To conduct a screening in your country, follow this link. 6) Speaking Engagements with the director are subject to availability, price, and whim. These can be coordinated by sending an email here. Anything you publish or provide to this site will be considered the property of the owners of this site forever. If in the future it becomes possible for us to read your thoughts, we have the right, but not the obligation, to take those too. We are not responsible for any confusion that may result from these terms, which we acknowledge have been written to be as confusing as possible. If you are harmed in any way or die from use of this website, or while watching "Terms and Conditions May Apply" under no circumstance are we accountable. If your suffering leads to our suffering, you may be liable for damages. We will only share your information within our own system, and with our subsidiaries. Our subsidiaries may share your information with 3rd parties. 3rd parties may share your information with 4th parties and so on. We may be required to share your IP address, location, time of visitation, and any other information you knowingly or unknowingly give to us with government entities. We may be prevented from notifying you and hereby waive any need to apologize. Any cookies we install in your browser may track you and see where you go on the web. Deletion of said cookies may result in the reincarnation of those cookies, as we would very much like to know where you've been and where you're going. From this point on, these will be referred to as zombie cookies. Failure to comply with all terms in this binding agreement may result in legal action. Penalties can be as unreasonable as we see fit. Settlements will be determined by an arbitrator who gets kickbacks from us. 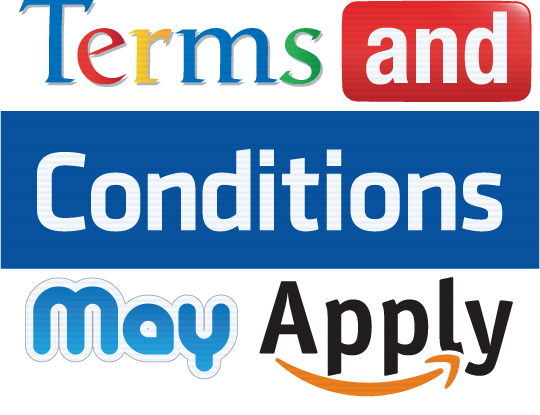 Furthermore, and with the same applicable penalties, you have also agreed to watch the film "Terms and Conditions May Apply", in any or all of the following mediums: Theatrical, VOD, SVOD, DVD, airplane, cruise ship, hotel, or building wall. If you feel these terms are unreasonable, or to find out what else use you have agreed to by using a cell phone, a website, or an app, click here now.